The UFC did NOT sign former champ Tim Sylvia to a new contract, let me say that right from the beginning. However, they did re-sign a former champ that took me by surprise. 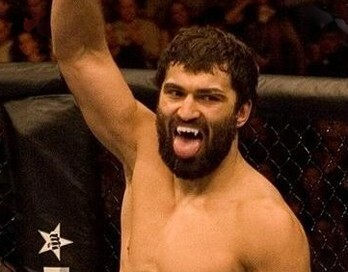 Andrei Arlovski will be making his return to the octagon. He last fought for the UFC way back in 2008—that’s 6 years ago! He will reportedly take on Brendan Schaub at UFC 174. Since his last UFC fight, Arlovski has gone 8-5 (1NC), including losses to Fedor Emelianenko and Anthony Johnson. As of late however, he has just 1 loss (and a No Contest) in his last 8 bouts, which must have caught the attention of the UFC. Arlovski won the interim title at UFC 51 by defeating Sylvia. He was ultimately promoted to undisputed champion, and defended it against Justin Eilers and Paul Buentello before dropping the belt to Sylvia. HE also lost a rematch a few months later—that was July of 2006. Following his dropping of the title, he went on to earn victories over Fabricio Werdum, Roy Nelson and Ben Rothwell (among others) in three different organizations. Here’s a strange fact about Arlovski (which I’ll awkwardly weave Schaub into to try to make it relevant): despite his perceived age, Arlovski is younger than almost every UFC opponent Schaub has ever had. He’s surprisingly younger (35) than each of these former Schaub foes—Roy Nelson (37), Chris Tuchscherer (38), Mirko Cro Cop (39), Antonio Rodrigo Nogueira (37), Lavar Johnson (36), and Matt Mitrione (35—he turns 36 in July). What might be just as surprising, Ben Rothwell is Schaub’s YOUNGEST opponent—he’s only 32 right now. He looks 50.